Steel Copper Serving Plate - Color: Copper & Silver, Material: Copper & Stainless Steel, Weight: approx715gram, Width/Diameter - 12.0"
DECLARATION - Buy Original INDIAN ART VILLA products from the seller "Indian Art Villa". India Art Villa is a Registered Brand & Does not Authorize any other seller to sell their products under their Name. Indian Art Villa does not provide any Quality assurance of FAKE products bought from other sellers. 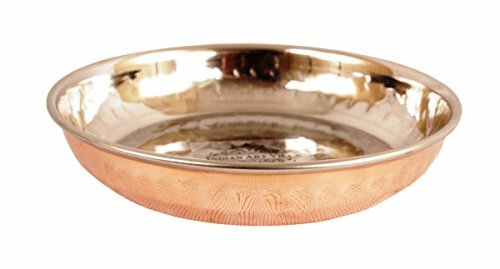 Indian Art Villa IndianArtVilla Handmade Steel Copper 10.2" Serving Plate for Servware Restaurant Hotel Home Kitchen Ware Gift Item is available for 1,085 Rupees on Amazon India. This price is vaild for all major cities of India including Delhi, Mumbai, Kolkata and Chennai. 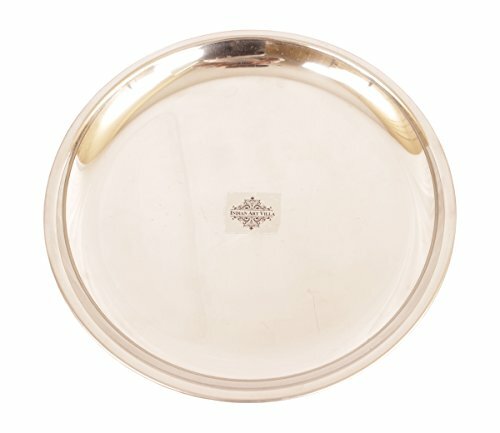 The latest price of Indian Art Villa IndianArtVilla Handmade Steel Copper 10.2" Serving Plate for Servware Restaurant Hotel Home Kitchen Ware Gift Item was retrieved on 19th April 2019. Feature Steel Copper Serving Plate - Color: Copper & Silver, Material: Copper & Stainless Steel, Weight: approx715gram, Width/Diameter - 12.0"